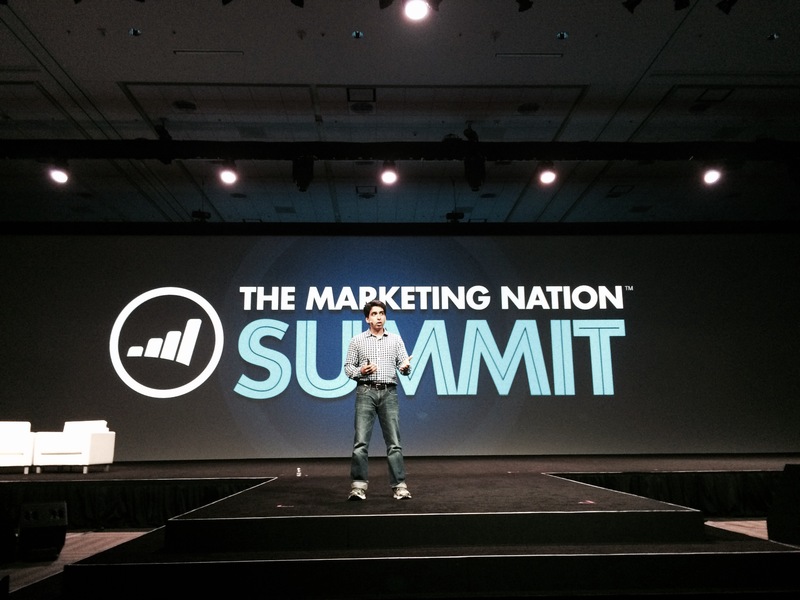 I can’t believe it’s already been over a week since the Marketo Marketing Nation Summit 2015 kicked off in San Francisco! 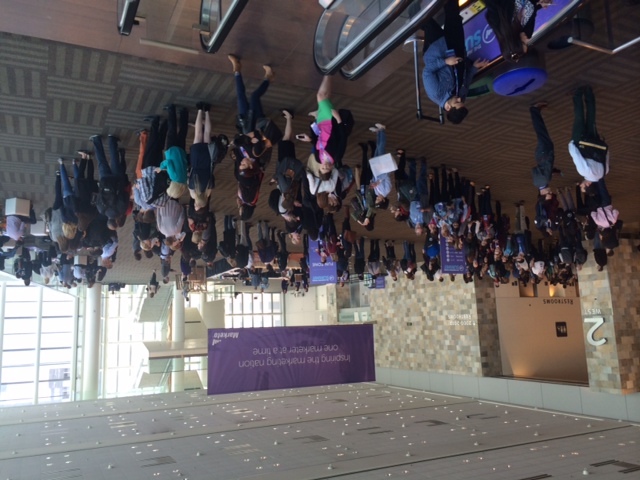 If you haven’t already heard—though how could you not?—#MKTGNation was trending on Twitter! The theme for this year’s summit was “Inspiration in the Nation.” It surely did not disappoint. It’s a testament to all of you— our customers, our partners, our speakers, our prospects, and our Marketo team—that I’m still feeling just as inspired today as I did joining attendees from all over the world at our Fun Run last Monday morning! From that first event through our last session, it could not have been more evident that the Marketing Nation is not only strong, but thriving. We had a killer program last year, but the size and scope of Summit 2015 blew me away. With more than 7,000 passionate—and good looking—marketers registered and over 100 amazingly innovative partners in the expo hall, the energy and genuine sense of connection in the community was amazing. 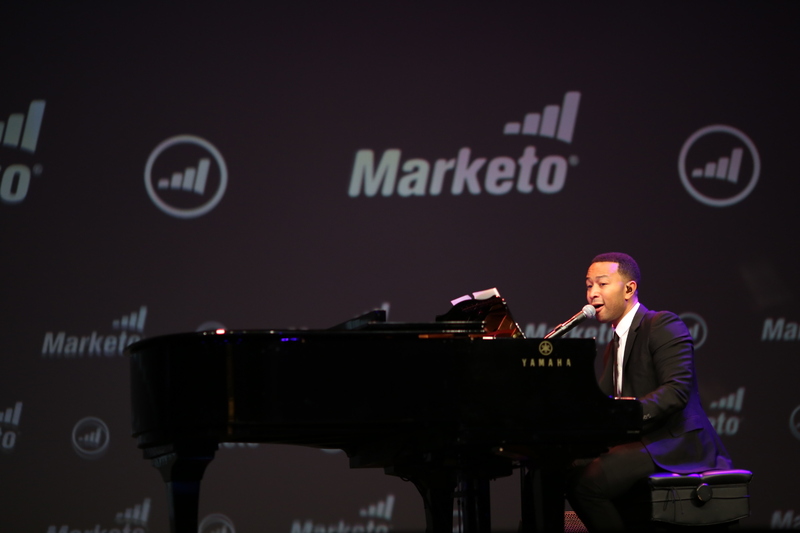 Inspirational keynotes from Marketo CEO Phil Fernandez, Arianna Huffington, John Legend, and Salman Khan set the tone for the hundreds of sessions, meetings, and connections that took place. 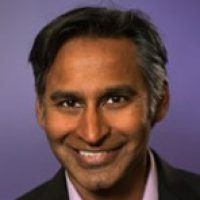 One of my key observations from listening to our speakers was that, as a group, they reflected the sheer richness and diversity of the Marketo Marketing Nation. This was not a one-dimensional lot—this was a group that demonstrated a multi-faceted view of what it means to inspire. Phil inspired us with a bold new vision for where the world of marketing is going—and, an array of new product innovations that once again sets the pace for the rest of our industry to copy. 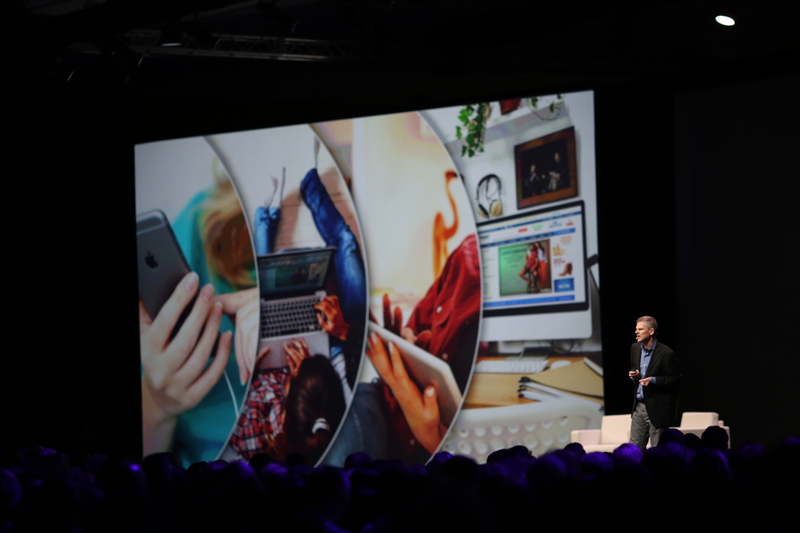 Innovations like Marketo Ad Bridge, with LinkedIn and Facebook joining us on stage, and Marketo Mobile Engagement truly inspire a vision of a world without boundaries—where the Era of Mass Advertising dies away and gives way to the Era of Engagement Marketing. Arianna inspired with her story not only of revolutionizing the entire media and publishing industry, but with a fresh way to think about life and success. With her quick wit and humor, I loved her bold stance—calling out our current mental models of money and power as broken metrics of success—that we all need to rethink how we add “well-being, wonder, and wisdom to the mix”. Practical and simple tips like turning off email after a certain hour or getting 8 hours of sleep were mixed in with an inspired vision of what balance could look like in our stress-driven world. John inspired with his own very unique journey from management consultant at BCG to Grammy and Oscar winner…and that was no overnight phenomenon…how he “had to go through a lot of No’s to get to Yes”. He took it to another level talking about the many causes that he lends his voice to—notably, his current mission to end the mass incarceration that afflicts our country. Quoting Cornel West, he declared that, “Justice is just love in public”. Not only did John inspire us with confidence that we all could use our voices to change the world, he certainly inspired with his talent at the piano—I’m still blown away just recalling his performances. Finally, Sal took the stage to inspire us all with his story of the Khan Academy and how his one, simple idea has changed lives of millions of people around the globe. His mission of a “free, first-class education for everyone in the world” and the power that has to change people’s lives—including many that spoke via video—literally brought many to tears. His ability to think on a grand, galactic scale certainly inspired me to think bigger—and, I think it inspired everyone else who was there as well. All of this reinforced for me that the Marketo Marketing Nation is where people come to think big—to connect with real people—to be inspired…it’s the place where the cool kids hang out. The Marketing Nation is changing lives—from the career arcs of our fellow marketers, to the impact we are having on our companies, to the ecosystems of our partners, to the lives of end consumers—the stories I saw in videos and heard in conversation were nothing short of inspiring. In and of itself, the term “nation” points to a group of living, breathing, united humans, not just some folks lumped together because they happen to use the same product. Don’t get me wrong–the common experience and bond around the Marketo platform is pretty awesome, too! 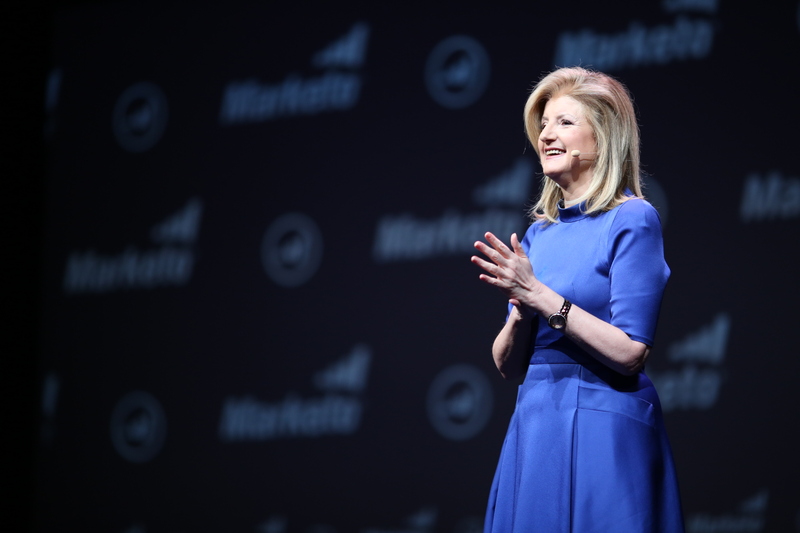 I heard so many stories of how Marketo is reshaping the way marketers interact with their customers, taking the conversation from what Phil called sterile, mass advertising to real, human, one-to-one conversations. Up until this point, we haven’t had the technology to be able to forge these types of relationships at-scale. Now that it’s a reality, marketers are seizing this opportunity in a variety of exciting ways, following the “ABCDE” principles of Engagement Marketing that I highlighted during my keynote. Finally, building on the idea of everywhere, I was inspired by how global our nation has become. I met with executives from the Netherlands, marketing teams from Iowa, a marketer from France, a reporter from Australia, colleagues from Japan, and so many others. 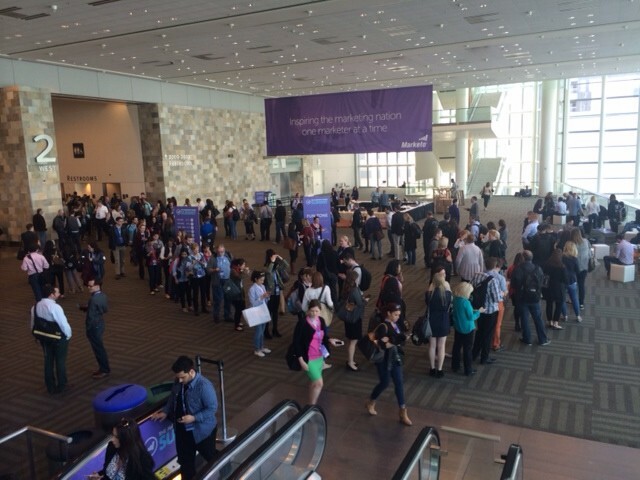 All of them echoed that the excitement and “good vibes” were palpable from the purple people in Moscone and everywhere you looked around San Francisco. In our Marketo University classes, our Partner Summit, and the “Purple Rain” Gala—everyone carried the belief that by engaging with others from all over the nation and world, they would be better marketers. It wasn’t just another tradeshow—it was a chance to make friends and celebrate how each and every one of us is using his or her voice in a powerful way. At no time was this more evident than at 4:30 pm on Wednesday, the start of our last sessions on our final day. By this point at most conferences, lounges clear out and session attendance drops. Not in the Nation. The lines for our final presenters were out the door, spilling into the lobbies and past the escalators. The Nation was still making connections, it was still learning, it was still being inspired. And to me, this dedication is why I believe that using our voice as marketers is not just another job – there’s a deeper passion driving what we do and how we do it. That purple passion is unmatched by anyone else!